Whilst Amazon has had physical stores (Whole Foods) for some time, it is now showing how it sees physical retailing in the future. And of course this has a technology bent. Amazon will no doubt be successful with this format for certain convenience/grocery type lines. It will be interesting to see if they ever introduce a customer service angle to the Amazon physical experience, like Apple has done so well. No cashiers, no lines, no registers – this is how Amazon sees the future of in-store shopping. 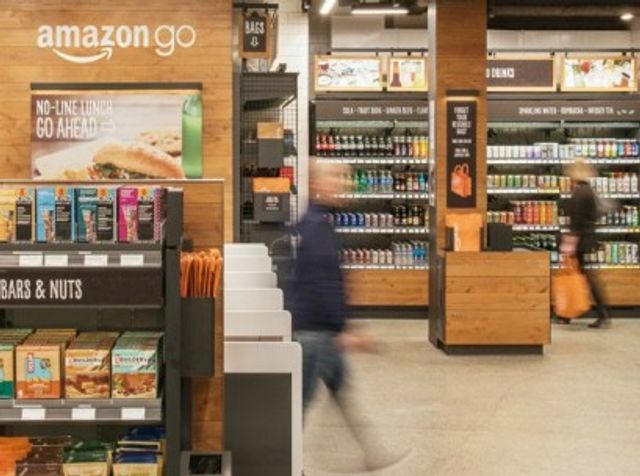 The online retailer opened its Amazon Go concept store to the public on Monday, selling milk, potato chips and other items typically found at a convenience shop. But Amazon Go is unlike its other stores. Shoppers enter by scanning the Amazon Go smartphone app at a turnstile. When they pull an item of the shelf, it’s added to their virtual cart. If the item is placed back on the shelf, it is removed from the virtual cart. The public opening is another sign that Amazon is serious about expanding its physical presence. It has opened more than a dozen bookstores, taken over space in some Kohl’s department stores and bought Whole Foods last year, giving it 470 grocery stores.